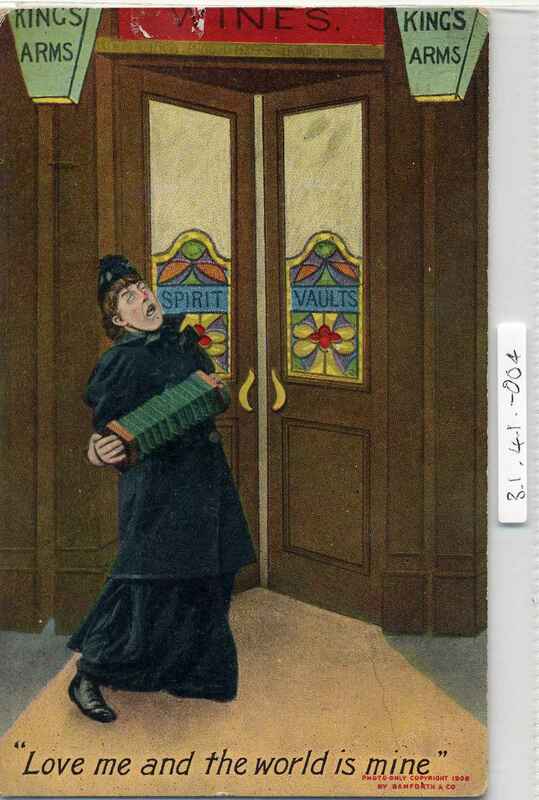 Full Description: A Bamforth comic card, (Series No 1426) of a lady (possibly in Salvation Army Dress?) outside the King's Arms Wines and Spirits Vaults, playing a many-bellowed Anglo concertina, and apparently singing very loudly. Captioned "love me and the world is mine" Divided rear, postally un-used. This is a later, full colour version of the early John Bamforth, Holmfirth card that is Item NC: 3.2.3-024 , where its caption is different.